Heat olive oil in a frying pan. Add diced onion and garlic and cook over a medium heat until lightly golden. Add passata sauce into frying pan and stir through. Simmer contents of frying pan for 10 minutes. Add the basil leaves to the sauce and stir through. Turn off the heat. Stir sauce, a splash of olive oil and parmesan cheese through with pasta until well combined. 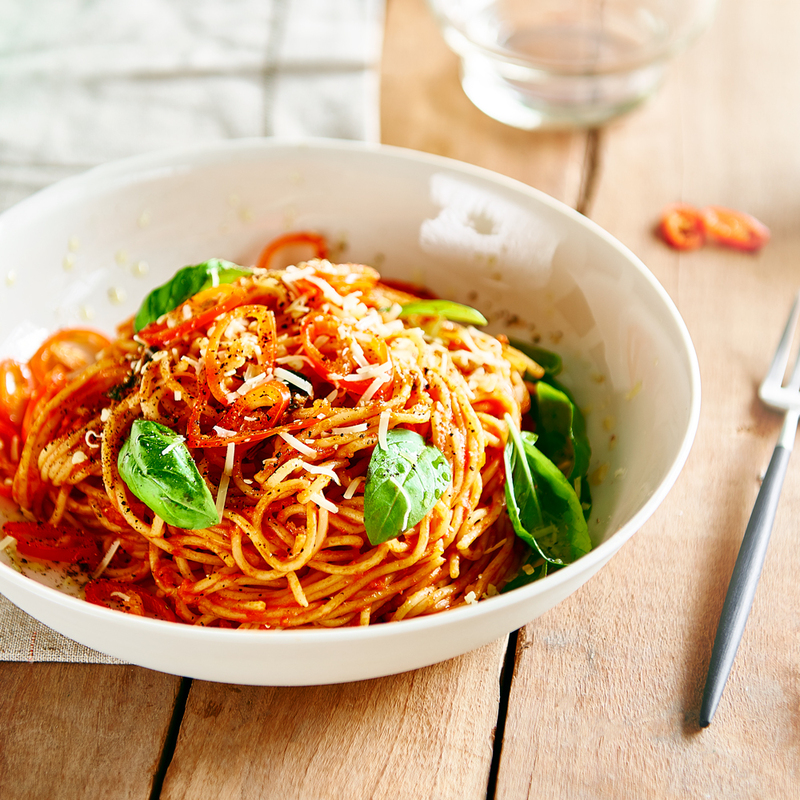 To serve, top pasta with chilli, basil leaves, generous amount of grated parmesan and season with salt and cracked pepper.